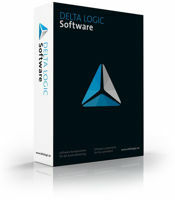 Since 1993, DELTA LOGIC has been developing and distributing innovative hard- and software components for the automation and control of machines and technical systems. Our know-how and our technical components are in demand and in use in all branches and sectors. Global market leaders trust in DELTA LOGIC and rely on our Swabian goods. Every production or process step is regulated and exactly controlled via an electrical controller. Only by using intelligent software, the high demands on the product quality, security and flexibility of modern machines can be met. Regardless of whether it is about filling machines, cold rooms on cruisers, industrial furnace plants or complete fully automated assembly lines. Anyway, with DELTA LOGIC's soft- and hardware Swabian high technology is used worldwide. The success and the satisfaction of our customers is the ultimate ambition of our company.